1128. Yurika Chua, LandscapeLab Design Co. The Seeds @ Coney Island, Singapore. 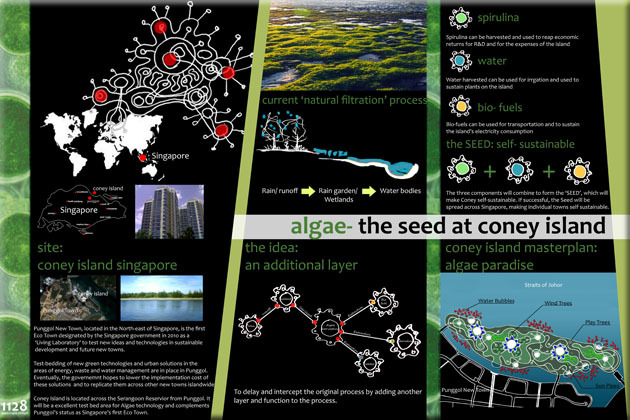 Across from Punggol Eco-Town is Coney Island, with the potential for SEED- a green park. Rain and surface runoff will be collected for algae for biofuel, water and spirulina. 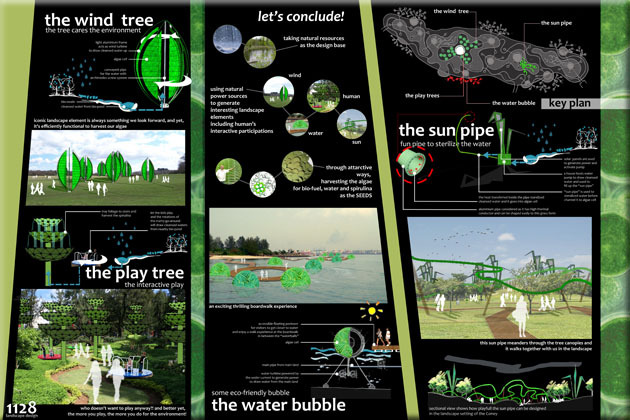 Play Tree, Water Bubbles, Sun Pipe and Wind Tree are interactive landscape elements that also harvest algae. For more information about this entry, contact the author. email: landscapelabdesign@gmail.com.